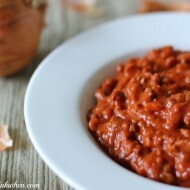 One of my favorite dishes during the holiday season is my family recipe for sweet potato casserole. 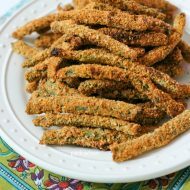 It’s always a favorite side dish and we NEVER leave with leftovers. This year I decided to make things a little sweeter and change things up. 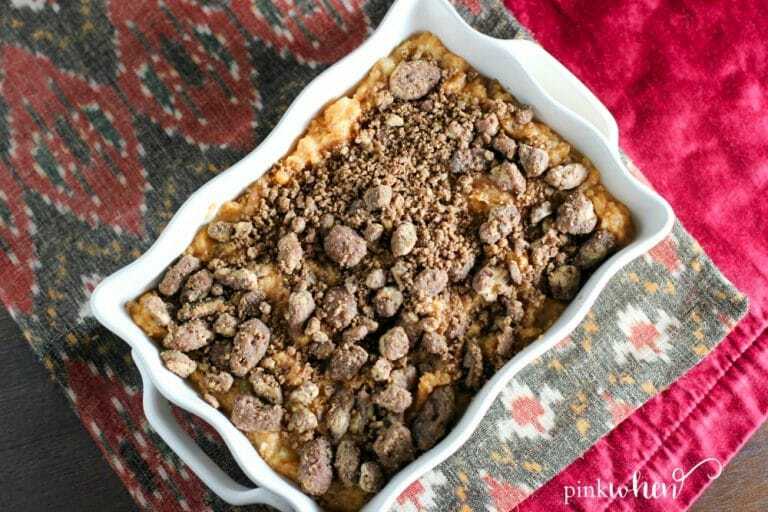 Today I am going to share with you this crazy awesome recipe, so move over marshmallows, this Pineapple Sweet Potato Casserole with Candied Pecans is going to be the NEW side dish favorite this year. 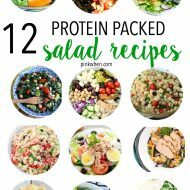 The BEST part is that this recipe is TWO in ONE. 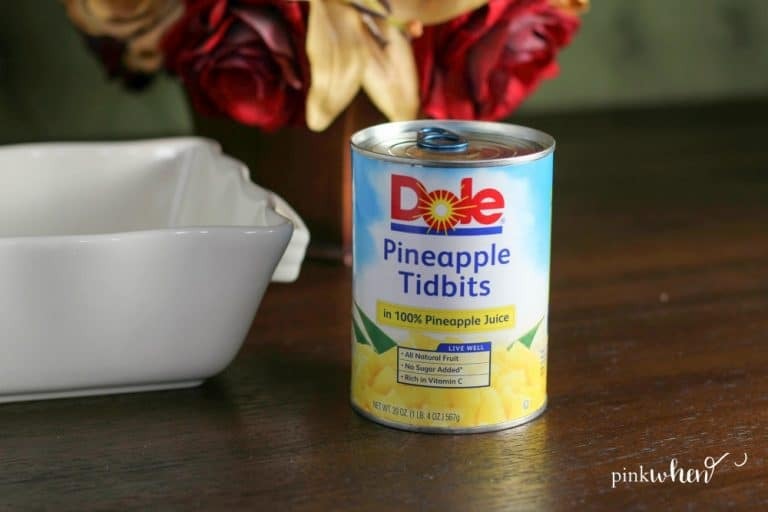 That’s right, it’s not only an amazing side dish, but it’s a delicious dessert made with Dole Pineapple Tidbits. 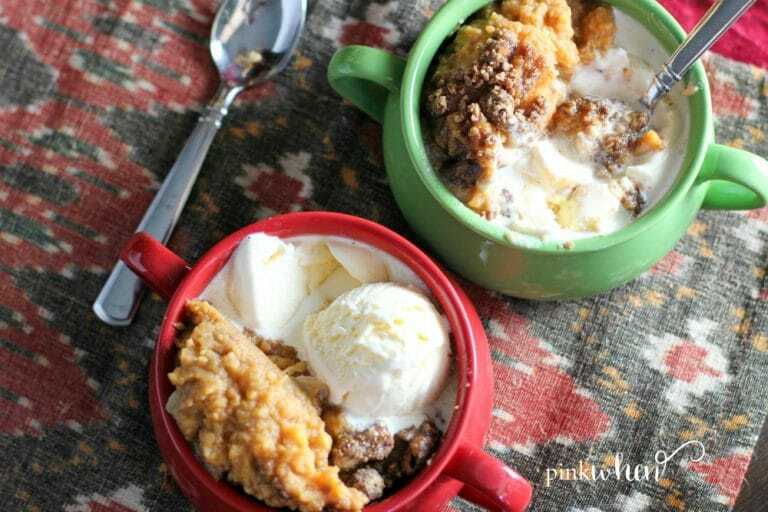 One of the best things about our family’s casserole is that is so delicious, it can be served as a side dish, or even served warm with a scoop of vanilla ice cream for dessert. What?! Yes. I’m telling you it is that good. Heat oven to 350 degrees and grab your favorite casserole dish. 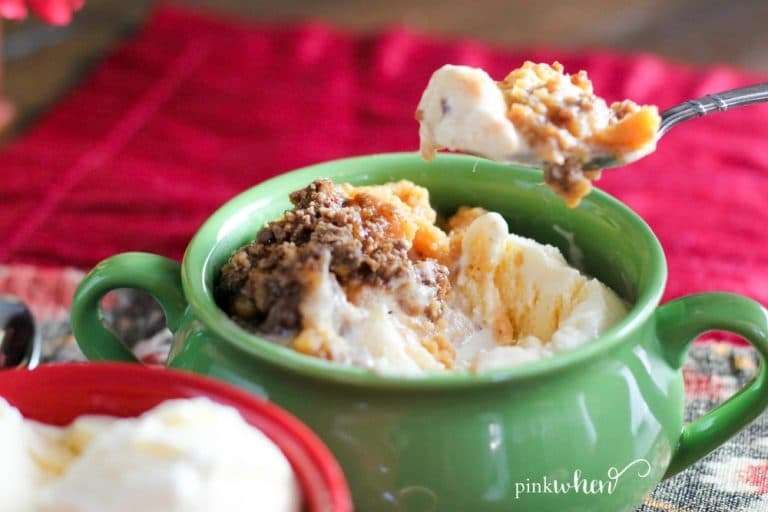 In a medium mixing bowl, mix sweet potatoes, pineapple chunks, heavy cream, melted butter, cinnamon, sugar, salt, heavy cream, 1/4 cup of chopped candied pecans, and eggs. Stir until completely mixed. 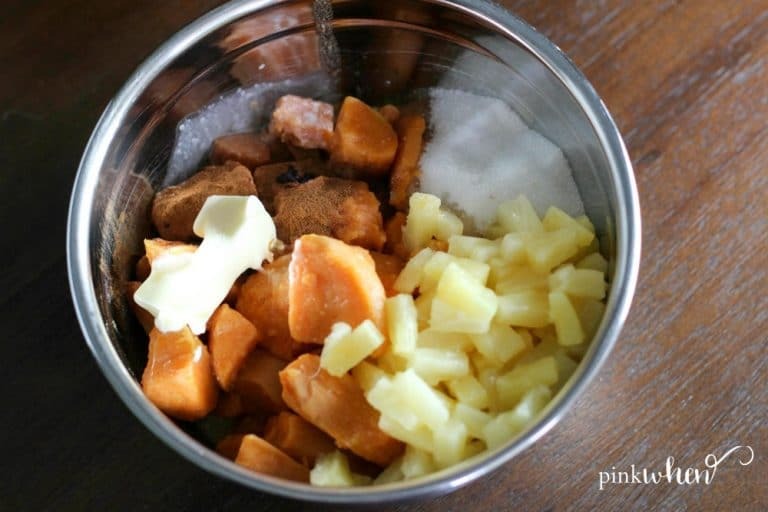 Take the sweet potato mixture and place in a casserole dish. Cover the top with the remaining chopped candied pecans, and bake in the oven for 35 minutes. Remove from oven and allow to cool for about 5 minutes before serving. We LOVE this new twist on a classic holiday favorite. My favorite part is that you can also have this double as a dessert! Just serve warm with a side of vanilla ice cream. If you are looking for a new simple holiday dish, you are going to be in for a real treat with this Pineapple Sweet Potato Casserole with Candied Pecans. Make sure you check out the other amazing Dole™ products to make those holiday recipes even tastier. Thanks again to Dole™ for sponsoring this holiday post. Make sure you enter to win the Dole Holidaze sweepstakes, enter to win $5000 in cash and prizes! You can enter here.